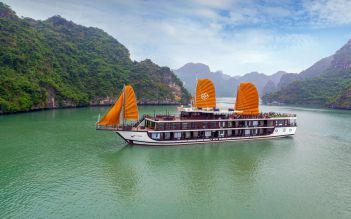 Discover amazing bay on Swan Cruises – Being recommended Halong bay tours with cruises vessel featuring 8, 9, 13 deluxe cabins and furnished in classic Vietnamese style. 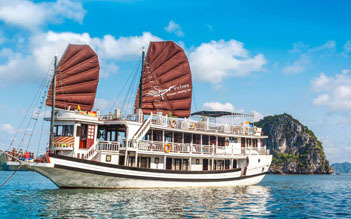 This Swan cruise 3 days 2 nights into the legendary Gulf of Tonkin (Halong Bay, a part of Bai Tu Long Bay and Lan Ha Bay) includes various activities that will indeed provide a truly unique experience. It’s all terrific! 07.00: Breakfast will be served in Western style and furthermore with Vietnamese traditional food –“PHO”. 08.00: Tender transfer to visit the Thien Canh Son Cave. 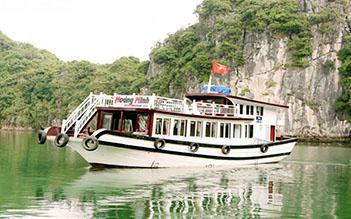 Learn more about history of Halong Bay and how this grotto has been made. 09.30: Transfer to Smaller boat reach the most beautiful area is Vung vieng fishing Village-the beautiful quiet area for swimming. (staff will transfer directly to the pier). David was a phenomenal host on our bai tu long cruise. Very interactive with the crowd and was extremely knowledgeable about the culture, food and history. We had an amazing experience doing tai chi in the morning and David kept us very well-informed and entertained on the entire cruise. There is never a dull moment. Highly recommended!! Very pleasant and serene experience. I would have loved to even stay an extra day! 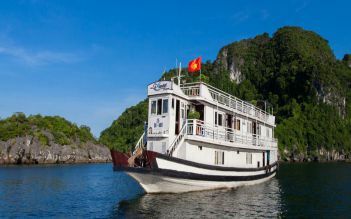 Lovely tour of Bai Tu Long Bay, which was overall more peaceful, secluded and quieter than what we heard Ha Long Bay would be like - did not disappoint! 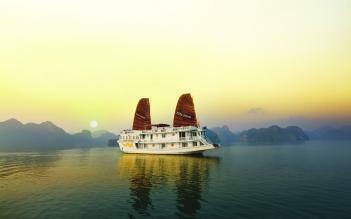 If you're looking for a more serene experience, Bai Tu Long Bay with Swan Cruises is the cruise for you! David was our amazing tour guide - very happy with him! He was very knowledge, helpful, and hospitable to all of us. He was also great at entertaining all of us with his "quizzes" about Vietnam, which also helped us learn a lot about the country. He even guided a short tai chi morning session at sunrise, which we loved! They took us kayaking around the bay to a small beach on one of the islands on the first day, then to explore one of the island caves and a cooking class the next day. Rooms are cozy, food is delicious, and all of the staff are wonderful! Would definitely recommend to friends and family! 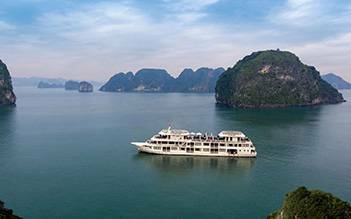 One of the best experiences in Vietnam is to visit Bai Tu Long bay with Swan cruises. The rooms and service were impeccable, the food delicious, the activities fun and the scenery amazing! 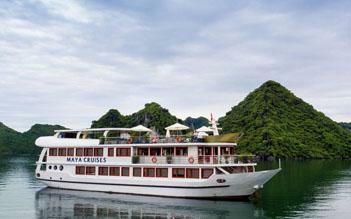 The boat size was perfect with a high staff to guest ratio and the guides personable and fun! Wonderful travel Our tour guide David is awesome. He takes care everyone of us. He won't lose anyone. Perfect view and good experience!! 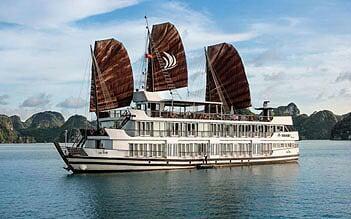 Joined the 3D2N Bai Tu Long Bay with Swan Cruises. Had an enjoyable 3 days in Bai Tu Long Bay. Guide on the bus trip from Hanoi was Vinny. Day 1’s guide was TAM, day 2’s day trip guide was HA I think, and followed by David for 2nd half of day 2 and day 3. 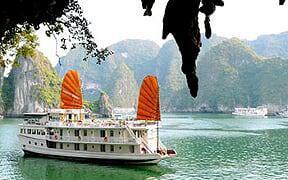 All three guides provided lots of information of the Bay as well as information about Vietnam. It helped me understand more about the history and background of the Bay as well as Vietnam. Made my trip more informative. Food on board was good and more than enough for each of the three meals each day. Thanks swan Cruises and all the guides!